"Should I switch to formula?" This is one of the major questions that new moms tend to ponder on the most. In this article, we'll discuss everything you need to know when transitioning from breastmilk to formula. This article is jam-packed with everything you need to know when it comes to switching from breastmilk to formula. First, let's take a quick peak at the topics we'll cover (each one is a link, so feel free to skip ahead). 2. Should I use formula? 3. How do you use formula? 6. Can you mix breastmilk and formula? Infant formula is a breast milk substitute. 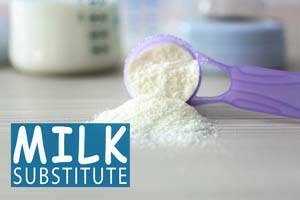 It’s typically made up of powdered cow’s milk or soy and fillers such as corn maltodextrin, a number of oils, vitamins, minerals and nutrients that contribute to the baby’s growth and nourishment. 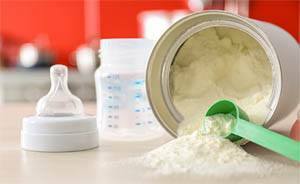 There are many different types of infant formula to choose from such as powdered, concentrated liquids and ready-to-use. Formula also comes in a variety of different ingredients and can even cater to infants who have an intolerance to cow’s milk or problems with digestion. Should I Use Formula or Switch to Formula? During pregnancy, of course we boast about how our baby will only be getting breastmilk because we want them to eat the best of the best. So much so that we even get caught up consuming every super food known to man so that we can give our baby the best. But contrary to popular belief, there are many formulas that are currently on the market that aren’t full of sugars, corn syrup, and pesticides. As a matter of fact, each couple of years, new, organic, environmentally-friendly baby food companies come out with their own line of formula. So what should you do? Should you breastfeed? Should you use formula? Or should you do both? Or maybe you have questions about switching from breastfeeding to formula. We'll discuss all of these questions and much more below. How Do You Use Formula? If you're curious about how to use formula, it depends on which type of formula you buy. 1. Powdered formulas will need to be measured out, reconstituted with filtered water, and warmed up. 2. Concentrated liquid formulas need to be measured out, diluted with filtered water, and warmed up. 3. Ready-to-use formulas can be instantly fed to the child with or without warming up. All formulas need to be fed to the baby in a bottle. DO NOT heat formula up in the microwave. 1. Bring a pot of water to a boil and set it aside. Meanwhile, mix your formula and place it into the baby’s bottle. 2. Next, place the bottle into the pot of hot water and leave for 3-5 minutes. 3. Check the temperature of the formula by squeezing a bit of it onto the palm-side of your wrist. 4. If the formula is too hot, set it aside for about 2 minutes to let it cool down and check the temperature again before feeding the baby. How long is formula good at room temp? Once the formula is made, it can only sit out at room temperature for an hour max before it needs to be discarded. However, always err on the side of caution as bacteria can grow rapidly in formula. If the baby doesn’t finish the bottle, it’s best to discard the unfinished portion rather than saving it for later. This will cut down on gas and other tummy troubles from unfavorable bacteria. As a general rule, formula shouldn't be reheated. Whatever your baby doesn't drink should be thrown away if it will be more than an hour before the next feeding. Here's why: Bacteria can grow very quickly in formula, so trying to save formula and reheat it is a bad idea. In addition, reheating can destroy the nutrients in formula. If you’ve found that your little one doesn’t like the formula he’s currently eating or if your pediatrician prescribes him a different formula, it’s best to make a gradual change when switching formula. It's wise to change baby formula immediately if your baby was allergic to the old formula. However, since the infant’s digestive track isn’t fully developed, switching baby formula suddenly can cause gas and other digestive problems such as constipation. 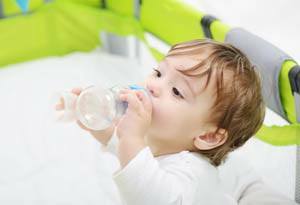 Start off by mixing a bottle of half of the old and half of the new formula so that your little one can get used to the taste and so that his body can slowly adjust to the change. After 1 week, change the ratio to 60% new, and gradually increase the ratio of new formula until your little one has transitioned fully. A common question is what formula is closest to breastmilk. The new Enfamil Enspire Infant Formula is probably the closest thing you’ll get to breast milk right now. The reason being is that the formula contains milk fat globule membrane (MFGM) and lactoferrin. These are two nutrients that are naturally found in breast milk. In addition, these nutrients support brain development and gut health as well as your little one’s immune system, making it one of the best formulas on the market right now. Can You Mix Breastmilk and Formula? Yes, you can mix breast milk and formula. We'll discuss how to mix the two and the pros and cons of mixing them below. Adding formula to breast milk can give you a lot of options, which we'll also discuss below. If you’re transitioning from breast milk to formula, it’s a good idea to know exactly how to mix the two. 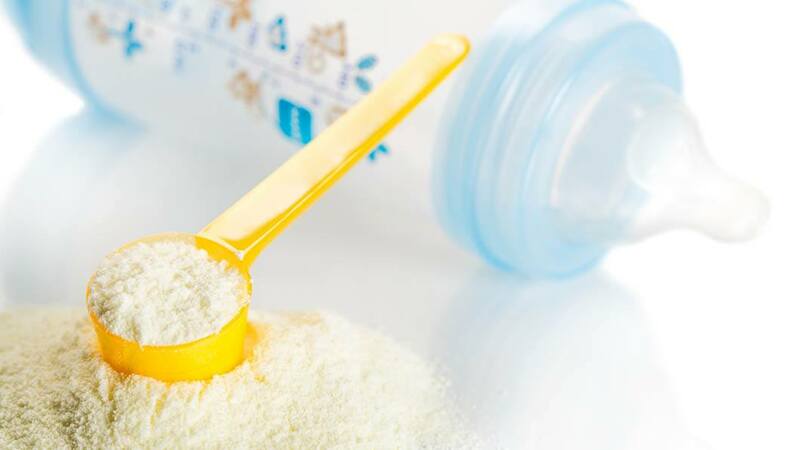 Mixing breast milk with the concentrated powder/liquid of the formula will change the composition of the breast milk. This could cause a micro-nutrient overload for your little one if not done properly. Consequently, this will overwork his kidneys and leave him extremely gassy, uncomfortable and UPSET. When mixing breastmilk with formula in the same bottle, you can mix the formula with filtered water first and then incorporate breast milk into it. Or you can just mix the formula with breast milk by itself. You can start by trying half and half of each, but if you find that your little one doesn’t like the taste, try a ratio of 70% breast milk and 30% formula and then gradually increase. Let's discuss some pros and cons of mixing breastmilk and formula to keep in mind. 1. Formula can interfere with the antibacterial benefits of breast milk. 2. You have to throw the mixture away if the baby doesn’t finish it, which means wasted breast milk. 3. Formula doesn’t last as long as breast milk. Mixing milk shortens the time breast milk can be stored safely. 4. Iron and iron-enriched formula has been shown to affect the antimicrobial properties of breast milk. 1. If you have a low supply of breast milk. 3. You are concerned that your baby isn’t getting what he needs from your breast milk. Fortifying your breast milk is an option that many women aren’t familiar with unless it’s recommended by a pediatrician. You can mix breast milk with any formula that doesn’t contain iron. However, keep in mind that concentrated liquid formulas may have to be diluted beforehand. Just follow the instructions on the packaging. If you are looking to bulk up or stretch your breast milk supply, fortification is definitely the route you want to take. DO NOT add water to your breast milk in an effort to stretch your milk. Adding water to breast milk dilutes the properties of your breast milk, making it virtually ineffective. You will basically be starving your child by feeding them watered down breast milk. Water gives the illusion of fullness with no actual nutrition. This is dangerous for infants who are growing at a rapid rate. In essence, the nutrients and fats that are needed to help infants develop both physically and cognitively aren’t being given to them at the concentration that is needed. If you aren’t opposed to some double duty, you can opt to both breast feed and formula feed your baby. Supplementing formula is great for moms who still want the bond of breastfeeding but don’t really mind that the baby has formula every once in a while. Or maybe you're concerned about toxic substances in your breastmilk from smoking or drinking. Overall, this leaves mamma with the freedom to pump and provide a supply for when she’s at work, or not! Alternating breastmilk and formula is also a great option for moms who aren’t comfortable with breastfeeding in public and don’t feel like carrying a cooler bag full of milk all day. Baby also benefits because he’s getting the nutrition and antimicrobial properties of your milk to build his immune system and help him grow, along with some additional calories to keep him fuller longer with the formula. The best way to alternate breast milk and formula is by breastfeeding or giving the baby breast milk for the majority of the feeding and following up with formula. This will allow him to get all of the nutrients of your breast milk. In addition, he will stay full for a longer period of time in between feedings. It’s recommended to supplement with formula at night because there’s less of a chance that baby will wake as many times for feedings. Another important thing to consider is that supplementing formula on a regular basis will decrease your milk supply. If this happens, you can increase your supply again by getting in the routine of breastfeeding at that time. If you're switching from breastmilk to formula, you may face a bit of a challenge on your little one’s end. One issue when transitioning to formula is that formula tastes nothing like breast milk. In addition, the change in mouth feel and overall digestion of the formula may make your baby cranky and unhappy. It's challenging at first, but only during the transition phase. That's why a transition from breastmilk to formula should be done gradually, if possible. Just like switching your baby to a new formula, the change from breast milk to formula can leave him gassy and constipated. 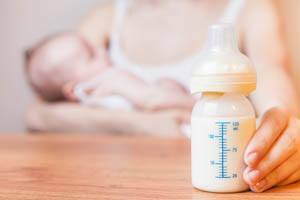 Is it okay to mix breast milk with formula? Yes, you can mix formula with breastmilk. If you bottle-feed breast milk, slowly adding the formula in the breast milk will make for a much smoother transition. Using this method, as each week passes, gradually increase the amount of formula vs. breast milk until he has fully transitioned. Can i breastfeed and formula feed? Yes; however, if you’re solely breastfeeding, try to introduce bottle feeding first. Then you can slowly implement the formula into the breast milk. When switching baby from breastfeeding to formula, you'll use the same method as if you were introducing your baby to formula for the first time. When you're ready to transition to formula, slowly introduce the formula by adding formula to breastmilk. Mix formula and breastmilk starting at 60% breast milk and 40% formula. Then gradually increase the ratio of formula as the weeks pass. Do this until the breast milk is completely replaced. Be sure to pay attention to how your little one is responding to the formula. Signs of allergies could be confused for colic or gassiness. Constipation should be expected since the composition of formula is much harder to digest than breast milk. Ease constipation with a bit of pureed prunes or prune juice and be sure to take note of how many soiled diapers your baby has. If baby seems to be having a bed reaction to the formula, contact your pediatrician. See if they can prescribe a different brand of formula for your little one. During the visit, the pediatrician will run tests to see whether the baby is having an allergic reaction or is just showing signs of a milk intolerance. If you notice more serious symptoms such as trouble breathing, a swollen mouth/throat, or signs of anaphylactic shock, call 911 immediately. If you're baby experiences any of these symptoms, it's important to stop using the formula and talk to your baby's doctor as soon as possible. No matter what your choice is, whether it’s breast milk, formula, or both, providing your little one with the nutrition that they need is the only thing you should be focused on. Formula is helpful for moms of all types. Whether your supply is low, you’re going back to work, you had a preemie or multiples, or you just don’t have the desire to breastfeed anymore, supplementation or transitioning can be a great help. There’s a tremendous amount of pressure on new moms to exclusively breastfeed. Many women feel like they’re failing their baby by not being able to provide them an adequate amount of milk. Don’t fall for the misconception that you’re a horrible mother for giving your little one formula. If your baby is fed and happy, that’s all that matters.